Euclid might be an extra course for learned men, like Homer. But Euclid for children is barbarous. The 34th day of the year; 34 is the smallest integer such that it and both its neighbors are the product of the same number of primes. 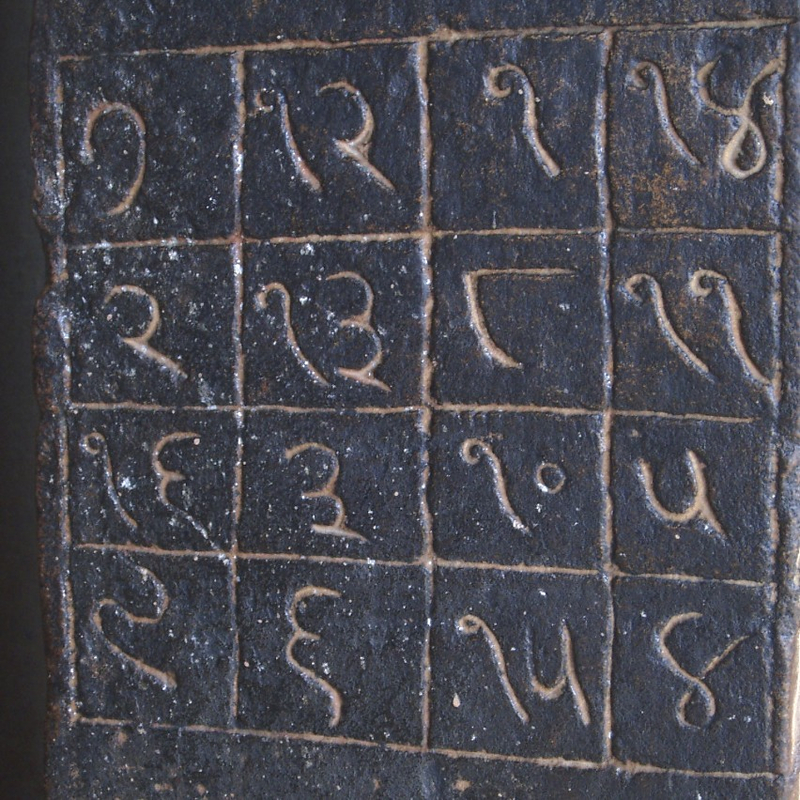 A 4x4 magic square using the integers 1 to 16 has a magic constant of 34. An early example is in the tenth century Parshvanath Jain temple in Khajuraho. 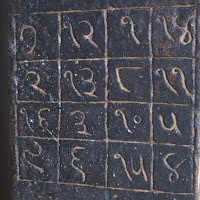 The image below was taken by Debra Gross Aczel, the wife of the late Amir D. Aczel who used the image in his last book, Finding Zero.4x4 magic squares were written about in India by a mathematician named Nagarjuna as early as the first century. The historical story is that Newton's dog, Diamond, had overturned a candle and set the documents afire. 1673(1672 os) Leibniz writes to Oldenburg describing his “accidental” meeting with the mathematician John Pell at the house of Robert Boyle. They discussed infinite series and after Leibniz described his work on the topic, Pell informed him that Nicholas Mercator had already written extensively on the topic. *Gerhart, The Early Mathematical Manuscripts of Leibniz, pg 162 On his return to France, Leibniz acquired Mercator's Book. 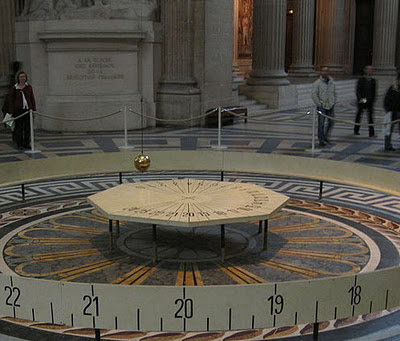 1806 Lagrange presented an attempt to prove Euclid’s parallel postulate to the mathematical and physical classe of the Institute National (as the Acad´emie des Sciences was known during the French Revolutionary Period). Here is how Biot, who, incidentally, died on this date in 1862 (see below), recalled the embarrasing incident in 1837: “Then one day Lagrange took out of his pocket a paper which he read at the Acad´emie [sic], and which contained a demonstration of the famous Postulatum of Euclid, relative to the theory of parallels. This demonstration rested on an obvious paralogism, which appeared as such to everybody; and probably Lagrange also recognized it as such during his lecture. For, when he had ﬁnished, he put the paper in his pocket, and spoke no more of it. A moment of universial silence followed, and one passed immediately to other concerns. [Grattan-Guiness, 1990, p. 263] *VFR In his "A Budget of Paradoxes, De Morgan described the event thus:"Lagrange, in one of the later years of his life, imagined that he had overcome the difficulty. He went so far as to write a paper, which he took with him to the Institute, and began to read it. But in the first paragraph something struck him which he had not observed: he muttered Il faut que j'y songe encore,("I shall have to think it over again.") and put the paper in his pocket. *Augustus De Morgan. A Budget of Paradoxes, Volume I . 1958 NEW MATH. New mathematics is found in Time magazine of Feb. 3, 1958, in the heading, "The new mathematics" [OED]. 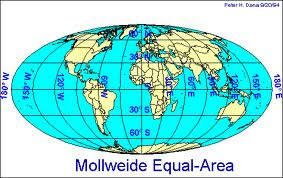 1774 Karl Brandan Mollweide (3 Feb 1774 in Wolfenbüttel, Brunswick, now Germany - 10 March 1825 in Leipzig, Germany) He is remembered for his invention of the Mollweide projection of the sphere, a map projection which he produced to correct the distortions in the Mercator projection, first used by Gerardus Mercator in 1569. Mollweide announced his projection in 1805. While the Mercator projection is well adapted for sea charts, its very great exaggeration of land areas in high latitudes makes it unsuitable for most other purposes. In the Mercator projection the angles of intersection between the parallels and meridians, and the general configuration of the land, are preserved but as a consequence areas and distances are increasingly exaggerated as one moves away from the equator. To correct these defects, Mollweide drew his elliptical projection; but in preserving the correct relation between the areas he was compelled to sacrifice configuration and angular measurement. January 25, 1915, showed complete contempt for danger. Under an extremely violent bombardment, he succeeded despite his youth (22 years) to give a real example to his men. Struck by a bullet in the middle of his face causing a terrible injury, he could no longer speak but wrote on a ticket that he would not be evacuated. He only went to the ambulance when the attack had been driven back. It was the first time this officer had come under fire. 1905 Arne Carl-August Beurling (February 3, 1905 – November 20, 1986) was a Swedish mathematician and professor of mathematics at Uppsala University (1937–1954) and later at the Institute for Advanced Study in Princeton, New Jersey. 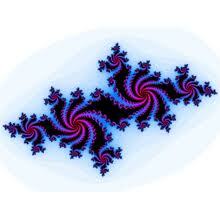 Beurling worked extensively in harmonic analysis, complex analysis and potential theory. The "Beurling factorization" helped mathematical scientists to understand the Wold decomposition, and inspired further work on the invariant subspaces of linear operators and operator algebras. 1951 Steven George Krantz (3 February 1951 San Francisco, California - ) is an American scholar, mathematician, and writer at Washington University in St. Louis. He has also taught at UCLA, Princeton, and Penn State. He is Editor-in-Chief of the Notices of the American Mathematical Society for the period (2010–2015). Krantz is also Editor-in-Chief of the Journal of Mathematical Analysis and Applications and Managing Editor and founder of the Journal of Geometric Analysis. He also edits for The American Mathematical Monthly, Complex Variables and Elliptic Equations, and The Bulletin of the American Mathematical Society. 1943 Earle Raymond Hedrick (September 27, 1876 – February 3, 1943), was an American mathematician and a vice-president of the University of California.